The new 3G iPhone from Apple, released on July 11, has already been taken apart. Interestingly, you can open it up using only two screws adjacent to the speakers and the battery is not soldered down, so it will theoretically be user replaceable. Friend of the show and “in-your-home-geek” Jesse Wilkins wrote a useful post on our forums about a recent Windows update that does not play nice with Zone Alarm, causing the loss of internet access across the board. An interesting video showing how to make glasses that blank out your face for digital cameras using bright [IR|infra red] [LED|light emitting diode]s.
Jay will be signing at Borderland’s Books in San Francisco on Saturday, July 12th at 3:00 pm. Later that night, Jay and Susan Palwick are guests of SF in SF at the Variety Preview Room in the Hobart Building, 582 Market Street. It starts at 7:00 pm. 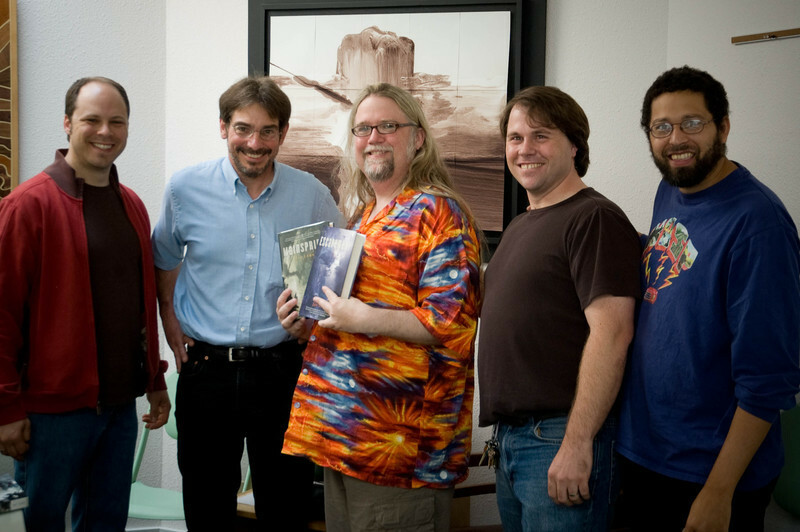 Jay Lake has been described as one of the rising stars of the science fiction and fantasy genre. Since first appearing on the scene in late 2001, he has seen over 200 short stories published, along with three novels out, and five more forthcoming over the next few years. 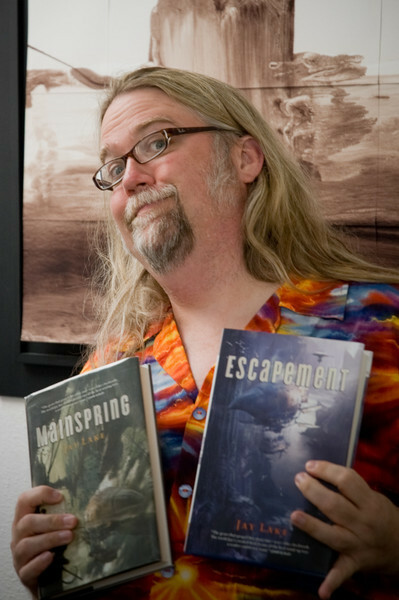 His work has received starred reviews in Publisher’s Weekly and Booklist, and significant recognition within the science fiction and fantasy field. He has won two of the most prestigious awards in science fiction and been nominated for numerous others. Lake was born and raised overseas as the son of a United States diplomat. His childhood experiences in Asia, African and Europe have given him a wealth of cultural and geographical detail to draw from when creating exotic settings and strange situations. He has, after all, lived them. His professional career has been in advertising and marketing for the high technology field, which gives Lake a lifetime of exposure to technology issues and trends. Taken together, these go a long way to explaining his choice of writing fields. Lake is a frequent guest at writing conferences and conventions, where his readings are well attended. He also workshops with newer writers, paying forward all the help and mentoring he has received and continues to benefit from. With his distinctive attire and quirky, improvisational humor, Lake is a familiar figure and a fan favorite all over the West Coast. He also maintains a blog which has been ranked as a top 25 science fiction blog. There Lake talks about writing, photography, politics, his experiences as a parent, as well as posting travelogs of his trips to some unlikely destinations, such as a recent outing to a long-abandoned Titan I missile silo. Lake also regularly posts online reprints of his older work, and a biweekly podcast consisting of recorded readings, panels and interviews conducted during his travels. Today Jay Lake lives in Portland, Oregon, where he works on multiple writing and editing projects. His 2007 book Mainspring received a starred review in Booklist. His 2008 novels are Escapement from Tor Books and Madness of Flowers from Night Shade Books, while his short fiction appears regularly in literary and genre markets worldwide. Jay is a winner of the John W. Campbell Award for Best New Writer, and a multiple nominee for the Hugo and World Fantasy Awards. Jay can be reached through his Web site at www.jlake.com. 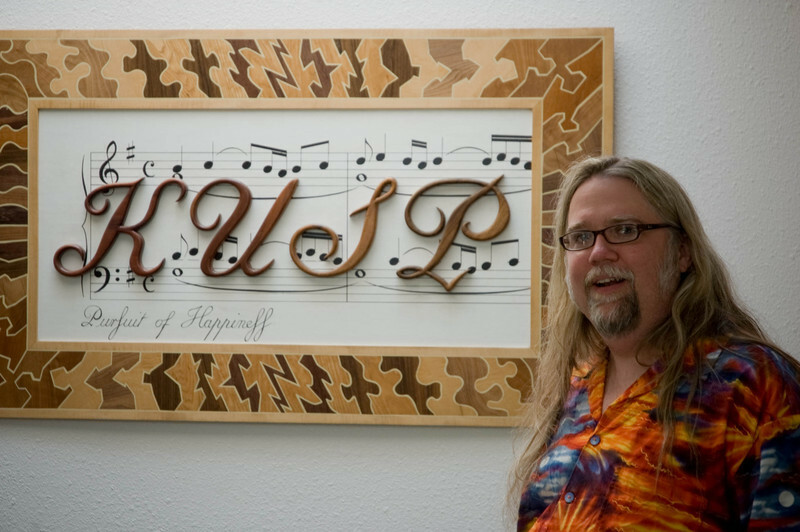 Rick Kleffel interviewed Jay Lake in early 2007 about his book Mainspring and The Clockwork Universe. Check it out here. We took some photos right after the show. Jay was a great guy to chat with and a Geek, which is always nice.